We strive to provide a uniquely positive experience. This is accomplished by replacing traditional "tiered" support structures with our proprietary, industry-leading, team-based structure. 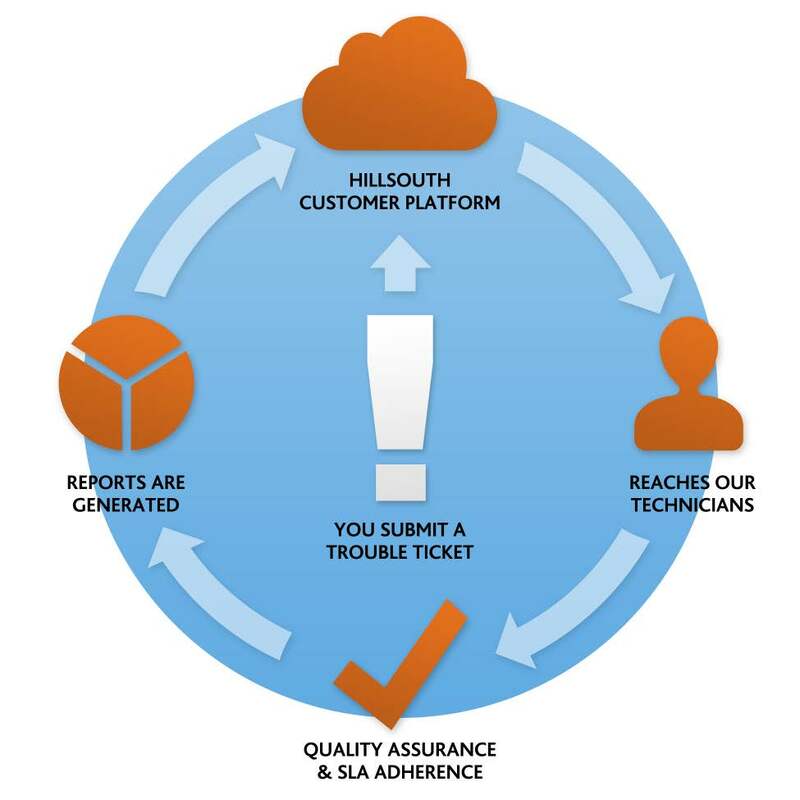 Every HillSouth customer is assigned to a team of 4-6 technology professionals. Every member of this team is qualified to solve 90% of issues faced day-to-day. 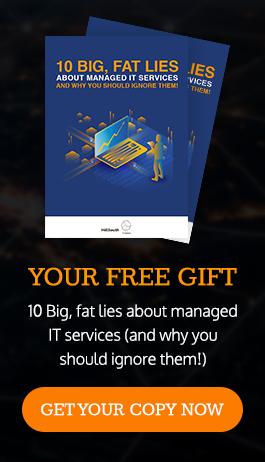 Additionally, the number of clients assigned to the team is limited to ensure all members can be knowledgeable and familiar with the specifics of the networks and environments they work on. No more waiting for the tech on the other side of the phone to pull up the information he needs on your system; he already knows it! Skip the guy reading a script and telling you to re-take steps you've already tried. Get connected with your problem-solver from the beginning. No long waits while the tech researches your environment during each new contact. Large enough to ensure availability for your needs. Small enough to maintain personal knowledge of you and your systems. Limitless scalability without affecting support.